There can be several external factors influencing the value of your home. 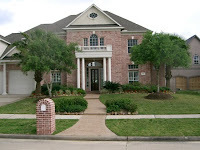 One is “curb appeal”, or the first impression your property makes upon prospective buyers. A home that’s in excellent condition on the outside will make a great first impression; a home in poor repair instantly loses its appeal to buyers. Other factors can include lot size, popularity of an architectural style of property, water/sewage systems, paved roads, sidewalks, etc. The condition of a home’s interior also has a huge influence on prospective buyers. When you’ve demonstrated “pride of ownership” and kept up the maintenance (quality paint, trim, molding, etc. ), a buyer’s interest will immediately perk up for the simple reason that they know your care and concern will result in less cost and maintenance for them. Other internal factors include construction quality, condition of appliances, size and number of rooms, heating/cooling type, energy efficiency, etc. 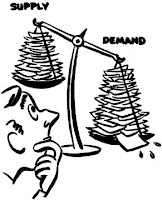 “Supply and demand” simply refers to the number of homes for sale versus the number of buyers. When there are more homes than there are buyers, prices tend to be lower. When there are a lot of buyers chasing few homes, then prices tend to rise. In effect, supply and demand affects how quickly your home will sell. Location More than likely, you already know the old saying, “There are three main factors in real estate – location, location, location.” While that’s not the whole story, desirability is a big factor for home buyers. They may want to live in particular school district known for its education excellence…a great and safe neighborhood with rising property values…etc. Aren’t Allowances Made for This? Definitely! Sometimes, it can be difficult to find homes exactly comparable to your own. So, dollar adjustments are made for the differences between your home and comparable properties. It’s very likely that your local assessor will be able to provide the sales history of a particular house, neighborhood, or style of architecture. Many assessors also provide lists of recent sales which you can browse and compare to the assessment roll. Today, many municipalities provide local sales and assessment information online making it very easy to access. Check with your local government agency to find out if they provide this service. You can search for these companies using the Google search engine and the keywords “comparable home sales” or “comparable sales.” Some companies offer free information; others charge a nominal fee. If you wish to get more specific, you can Google “real estate database” and type in the name of your particular state to get additional property information. It’s likely that your local newspaper is a great source of specific real estate information. Look for quarterly sales reports in the real estate or business sections. The key to getting the best value is finding and matching the right buyer to your home. And that’s the job of the Realtor! He or she should work hard to qualify those buyers upfront so the right people are viewing your property! In other words, the Realtor should weed out “lookers” and other unsuitable buyers as a first step in working with you. See how I do that for you by calling me today!